Willy Schwarz’s vision has always been eclectic. After decades spent absorbing music from around the globe, Willy has alchemically transformed his experience into songs – songs that reflect his love for the dozens of traditions he’s studied, yet maintain the unity of conception and imagination that is the prerogative of a master storyteller and a master. Schwarz began traveling internationally at 13. 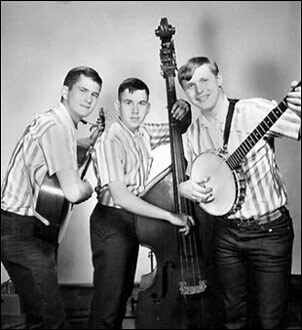 As the leader of a folk trio the ‘Young-uns’ he went on his first American tour at 14. Schwarz has hardly stopped in the four decades since then. Though the world is full of musical nomads, few indeed have gone so far and learned so much. 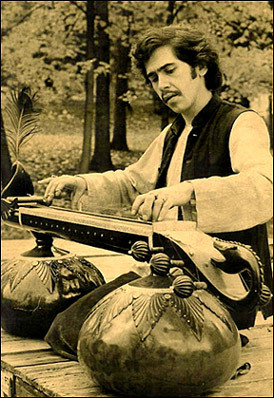 Willy went on to sing, play, learn and explore all over the world – traveling from Brooklyn to Bombay on an Indian freighter, moving from Kathmandu to Kabul – wherever Willy went, his restless musical mind absorbed the songs and sounds he heard, transforming them in the crucible of imagination. 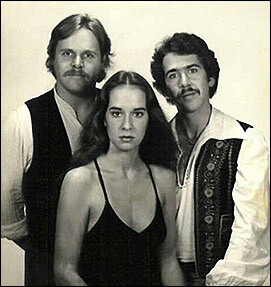 In the 1980’s he toured internationally with the critically-acclaimed trio ‘Eclectricity’, whose enormous spectrum of music defined ‘World Music’ a decade before it became a recorgnized musical category. Though this multi-instrumentalist is probably best known for his stint as keyboardist and sideman to Tom Waits, Schwarz’ resume commands other accolades such as his internationally-acclaimed musical travelogue ‘Jewish Music Around the World’.He has also created many musical compositions for theater, using his exotic and conventional instruments to score dozens of plays in Chicago, several of which have toured across America, Europe and Broadway. Willy often served as onstage musician and music director. Throughout the 1990’s Chicago’s commercial music producers knew him as ‘the weird instrument guy’ – If you needed an Indonesian flute, a Tibetan trumpet or a Ugandan kettledrum, Willy Schwarz would not only bring them, he’d play them brilliantly, idiomatically and with consummate musicianship. A love for the genuine led Willy to research Chicago’s immigrant musical traditions with the intent of presenting the music to listeners across the USA over National Public Radio. He took this idea further and assembled the 21-piece ‘All American Immigrant Orchestra’, which featured solo and ensemble playing and singing from Brazil, Puerto Rico, China, India, Poland Hungary, Quebec and Armenia; topping the Chicago Tribune’s list of Best Concerts of 1999. After the success of the Chicago project, he followed suit in Europe, organizing an analogous ensemble known as the ‘Bremen Immigranten Orchester’, whose premiere performance was received with equal enthusiasm as it’s Chicago predecessor. Throughout all his travels, Schwarz kept adding to an ever-growing file of original songs. Well over a decade of creating music for other people’s visions, he decided it was time for his own unique conception of ‘multi-ethnic singer-songwriting’. Travelling to the Indian city of Pune, Willy laid down the basic tracks of his first solo album with the help of over twenty Indian instrumentalists. ‘Live for the Moment’ was finished in Chicago with contributions from artists like Paul Wertico and Howard Levy. It won highest critical praise after its release in 1999. His follow-up CD, a song cycle titled ‘HOME; Songs of Immigrants, Refugees and Exiles’ was released in 2001. Most recently, Willy Schwarz has composed the music for Mary Zimmerman’s Tony-Award winning Broadway hit, ‘Metamorphoses’, for which he won the 2002 Drama Desk Award for Outstanding Music in a Play. The soundscore for ‘Metamorphoses’ and other theatre music of Willy Schwarz was released by Knitting Factory Records. Willy has toured and collaborated with such diverse artists as Tom Waits, Theodore Bikel, Ravi Shankar, Alan Ginsberg, David Amram, Shlomo Carlebach and Leon Russell. Willy was awarded the Villa Ichon Peace and Culture Prize 2011 for his work in bringing together music and musicians from many cultures. This prestigious award has in previous years been received by such illustrious personalities as philosopher Ivan Illich and rock giant Udo Lindenberg.